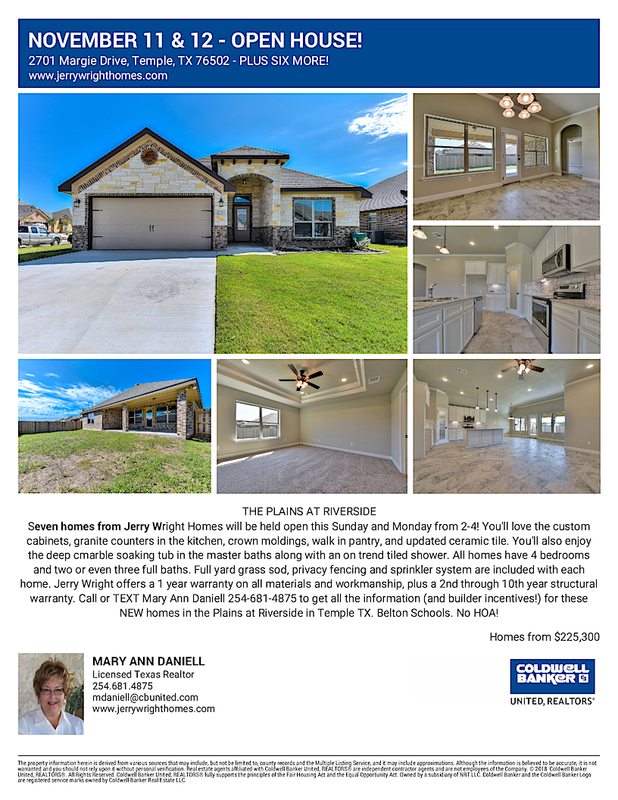 We will be at the Plains at Riverside tomorrow and Monday, NOV 11 and 12, holding seven homes open for viewing. If you are thinking about building a home, you can also see sites that are available for your custom home. All these new construction homes are in the Belton Independent School District, and there is no HOA. Directions: Located off Old Waco Road. Charter Oak, to Pea Ridge, to Old Waco Road. Or Adams to Old Waco Road.